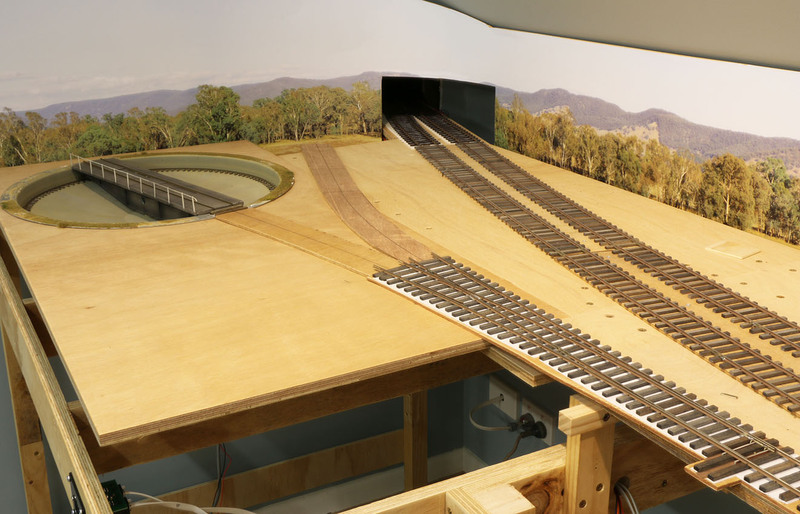 This image shows the section of layout that includes the CIL turntable and the most recent hand built switch which is sitting in the lower foreground of the photo. The two pieces of 4mm ply road bed can be seen sitting in place (one leading to the turntable and the other to an engine lay-by) prior to having sleepers glued to them. If you look very carefully you may be able to detect where the handlaid track transitions to Peco flex track just before the hole in the backdrop.